This mouthpiece is the largest in this series (suitable for all baritone and small shank euphoniums). With a rim diameter and rim width similar to the 4 (Ultra, SM, AL ) euphonium mouthpieces, this model will be the choice of players preferring a big full sound and whose lips are accustomed to this particular wider feel. It has of course and the same external contour and metal distribution of the highly acclaimed ultra euphonium mouthpieces, ensuring a clear tone allied to an ease of response and beautiful singing tone. The full range of the instrument can be played with a great full sound. It's deep cup depth makes it the obvious choice for euphonium players using this size shank and for baritone players wanting the biggest tone ! This baritone mouthpiece again possesses all the stunning features that have been so well received by euphonium players enjoying the original Ultra series and here is a mouthpiece that we feel sure will be highly sought after by brass band baritonists. The general feel of this mouthpiece is of a midway size between the exisiting SM4B and SM6B and has a high degree of projection, opening up the lower register of the baritone whilst ensuring a fuller, bigger sound in the upper register. The flexibility is also much easier than other mouthpieces of this size. It is capable of great power with less effort ! This is the middle size of the three baritone models . We thought long and hard about this mouthpiece. The classic baritone mouthpiece over the years has been the 6BS, and the SMB6 (U) takes this mouthpiece one step further. Although it will initially feel the same on the lips, it is a high performance mouthpiece that is already receiving rave reviews from the leading baritone soloists in the country. Although the inspiration for this was the 6BS we've modified the cup depth a little making it just slightly deeper, giving what many traditionalists feel is the perfect baritone sound. But its ease of playing and rich vibrant sound is sure to make a big impression. The high range is quite astonishing and will allow for hours of full playing with increased stamina. more photos to come very soon !! Praise has come from every quarter for the new ultra euphonium mouthpieces, with the ravest reviews imaginable for any new euphonium mouthpiece. And now these models are available in the ‘M' (or ‘European', as it is sometimes referred to) shank, suitable of course for players with the medium shank mouthpiece receiver on their instrument, in particular the famous Willson 2900, as well as most brands of the German bariton. Again, early reviews of the prototypes suggest this will be a real winner with the M shank mouthpieces having exactly the same outstanding performance as the existing Ultra models. Players currently using the Schilke and BB range of mouthpieces will simply have to try these new Ultra models. They possess the same specifications and playing features of the original 3 and 4. You won't believe how good your instruments will sound with these new highly responsive mouthpieces. 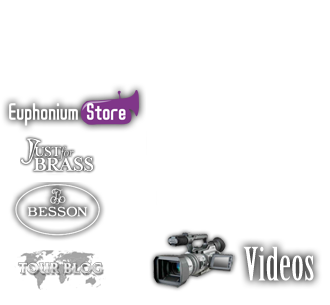 Prices of the new baritone and euphonium Ultra models are going to be the same as the current Ultra euphonium models. "We all know that a mouthpiece is where it all begins, so why do so many young players feel that the mouthpiece presented to them for producing their first note is the one that should remain with them until the end of time? Now is the time to discard the myth of ‘everlasting mouthpieces' and to pick and chose the best tool to suit. 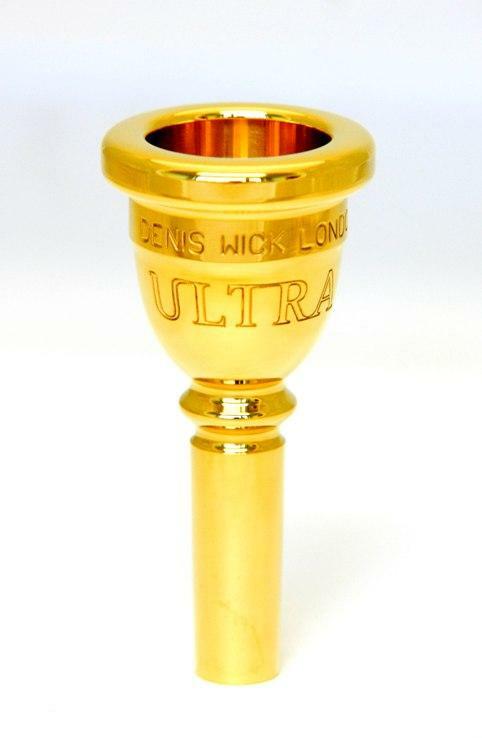 I have tried and tested many mouthpieces over the years, and I was recently asked to road test the new Steven Mead SM4U Ultra in gold for euphonium by Denis Wick. If you are considering venturing out into the world of mouthpiece choice or thinking about an up-grade, this is definitely one to try. With its subtle curvature and non-imposing top rim the SM4U is aesthetically pleasing. The gold-plated version that I played on complimented my silver Besson Prestige instrument and said "notice me - I'm the latest thing". But the main question is, of course, is it any good? My answer would be a resounding "yes". For me, a euphonium is the epitome of pure sound and should bring colour and shading to a brass band at any level. The heavy weight and increased depth of the SM4U Ultra really accentuates the true nature of the sound of the euphonium, bringing with it bigger and warmer tones, especially in the lower register. I found the mouthpiece to be highly responsive and flexible across the range. It was very easy to adapt to and was also very comfortable on the embouchure. As a soloist, it assists with projection, clarity, articulation and resonance. As a supporting player, it will also give warmth, depth and fullness to tone. In summary, it will enhance euphonium playing for all abilities. It is, perhaps, more expensive than some of the other choices on the market, but the phrase ‘you get what you pay for' rings true in this case. With Denis Wick, you are safe in the knowledge that this is a quality piece of workmanship, which has been subjected to rigorous testing. Combine this with Steven Mead's name and you're getting cutting-edge innovative mouthpiece design focused on improving all aspects of sound and quality. In my opinion, the SM4U Ultra would be an excellent choice for any player." 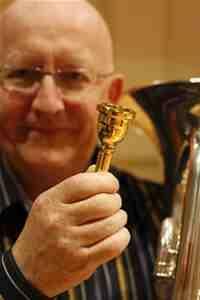 Michael Dodd writing in Brass Band World, February 2010.